Carmel Senior Living offers our residents and their family members consistency and predictability in care pricing. Care costs are determined by an personal evaluation and assessment by the health services team. I am very happy with the care my mother has received at Carmel Senior Living, both in Assisted Living and Memory Care. Although my mother can be difficult, staff has consistently been kind and patient with her, even at times when they weren't aware that I was watching. It has been my experience that staff notices and attends to patient needs and communicates with me. I should probably add that my mother has been in other facilities and Carmel Senior Living has taken the best care of my mother. 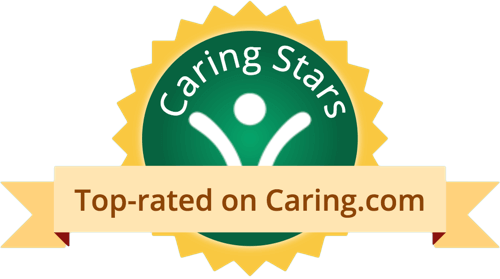 Hi, thank you so much for your positive comments about Carmel Senior Living! If you ever need anything else from us, please feel free to give us a call or stop by. Have an awesome day! We appreciate your positive review about your recent visit with us! We would love to have you a part of our community! Please don't hesitate to reach out if there's anything we can do for you. I was very impressed with this facility. The staff was wonderful and the facility looked very nice. I looked around at various facilities and this was my favorite by far. The staff at CSL is top notch and they really care about their residents. They made us feel very welcome and spent quality time with us on our tour. The place is warm and inviting and has a very positive energy. We're so glad you had such a wonderful experience during your tour, Jennifer! If you have any questions or needs, don't hesitate to give us a call! Lovely and homey atmosphere. Great care and fun activities. Friendly staff. Reviews like this give us motivation and help us ensure we provide high-quality care. Please don't hesitate to reach out if there's anything additional we can do for you. My wife and I really like Carmel Senior Living. If we need a place right now, this would be a the place that we would go. We love the building, and the people. We were not able to eat there, but we like the way the menu is operated. They showed us like a month-long menu, and we liked what they said about it. This place is about a year old, so it's very new. I liked Carmel Senior Living's people and staff. It was a very wonderful place. The problem with it was the rooms were a little small for my mom. The room that would have suited her, given the fact that she has a walker, is the furthest from the elevator. It was just entirely too far for her to walk. The only way they could accommodate her was with another person to walk her back and forth every day and that would have cost us every time they had to walk her for meal and activities. It would have been cost prohibitive. They had crafts, movies, outings, and bingo. The staff was excellent and good. It would be a recommendation. Carmel Senior Living is brand-new. It just opened last year and it's in a very good location with great proximity to medical care as well as other amenities. It was much more open, well lit, felt fresher, and more modern. They've got roughly one-hundred beds. They've got a mix of studio, one-bedroom, and two-bedroom apartments. They also had a memory facility which is important to me because my father is starting to show some signs of dementia; so I'd like to place him in a facility that would allow that transition should it become necessary in the future. Also, one of the things I liked is the staff was a little bit older than some of the other facilities. They had people more in their forties rather than in their twenties, and had more experience. The staff is OK at Carmel Senior Living. My mother-in-law has lived there. I don’t have any complaints. She is in an apartment, and it is small but nice. Carmel Senior Living was lovely. It’s brand-new, and it’s large. The staff is very helpful, and very cordial. I liked it very much, but it’s a little bit outside of my price range. The rooms are smaller at Carmel Senior Living, but the residents are provided with the amenities that I would like to have in my apartment. They say that they can drive me to a senior place in Carmel. They invited me for lunch, and the food was good, but the environment was not satisfactory to me. I am currently at Carmel Senior Living, and the place is very good. I would highly rate them. I love my room. We have several activities, like exercises, yoga, chair aerobics, and outside entertainment. We go out to theaters and other events. Carmel Senior Living was very thorough. They showed me everything I needed to see and gave me all the information I needed. It’s actually probably the first choice on my list, though I am not sure if it would be my parents’ first choice. It had amenity possible that my parents could need. The only thing is, it’s just a little too far from my house. Other than that, it was truly perfect. Everyone was helpful and friendly. You could just tell when you walked into the hallways; there are a lot of residents out during the daytime and a lot of people around. The director that showed me around knew every person that was there. It was quite obvious that people didn’t just work there. She was involved with their day-to-day life, and she knew everybody. My impression of Carmel Senior Living was extremely good. Elizabeth explained everything as we toured and exceeded my expectations. She's a professional. The rooms were very nice and clean, and met our expectations. Everything in the dining area was very nice and clean, and the bistro was very good. Carmel Senior Living was very typical, but satisfied the needs that we were looking for. The staff is very kind and capable and I don't have any reason to think otherwise. They have meals and the usual activities that you expect of a community. It's very nice and satisfactory. They have a library and a spa. I looked at Carmel Senior Living, but they didn't have private homes, and my parents didn't want to live in the apartments. However, it was very nice, beautiful, and brand new. They didn't have covered parking. They had bingo, crafts, and karaoke. Spectrum Retirement (Carmel Senior Living) was a very nice place. The rooms were nice, and the people were extremely friendly and helpful. I did consider moving my mother there except that it wasn't close enough to my home, so I ruled it out mainly just because of that. The rooms were a nice size and very open. I really liked the rooms. They had a nice little bistro café that was open all the time. No one was living there yet when I looked at it, but they had a nice dining facility. I think they started moving people in early September, but I had been there before that. Carmel Senior Living provides premium independent living, assisted living and memory care in Carmel, Indiana. Our new community delivers affordable luxury with At Your Service℠ hospitality and concierge services. That means we can help you through the transition to our community with packing and estate services, moving company referrals and more. We've even got everything you'll need once you move in, such as help with errands, transportation - all to help you get the most out of living at Carmel. Think of Carmel Senior Living as a hotel operated by a staff of caring family members. We'll be At Your Service℠ for specialized transportation options to personal shopping and help. All you have to do is pick up the phone or stop by our reception / concierge desk. What should caregivers and potential residents know about Carmel Senior Living?